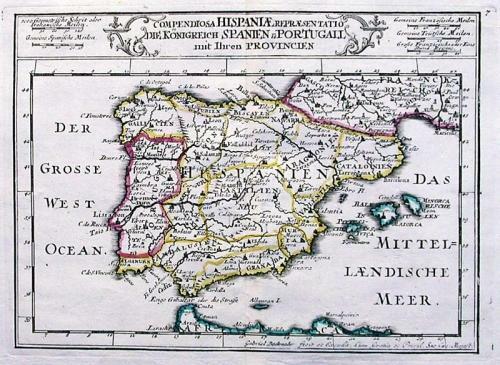 An elegant map of the Iberian peninsular and the Balearic islands.. the kingdoms of Spain and Portugal are shown divided into their respective provinces by outline colour. Scarce. Fold(s) as given.